MRSA is an infection that is often transmitted in medical settings, schools, prisons or gyms. Direct skin contact with a contaminated item, like a towel or a sheet, can spread the infection. This infection can be life-threating, so you need to address it as soon as you’re aware that you have an outbreak. The Bioclean Team will handle your MRSA outbreak with speed and thoroughness. Don’t let MRSA cause any more damage than it already has—give the professionals a call today for a complete MRSA cleanup and decontamination in San Diego, CA. Always wash your hands thoroughly and make your employees wash theirs. Don’t let your employees share razors, towels or protective eyewear. Disinfect all surfaces that might have come into contact with bodily fluids. If you still experience an outbreak, call The Bioclean Team. We’ll safely handle the MRSA cleanup and decontamination at your property in San Diego, CA. You’ll receive an empathetic approach to cleaning that helps your family first. 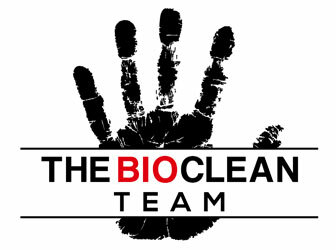 Contact The Bioclean Team for forensic cleanups in San Diego and the Southern California area. The owner of The Bioclean Team has been a nurse for 10 years. When you’re dealing with the grief and aftermath of a horrible situation, the last thing you’re worried about is having to clean. We’ve worked with victims and families through all types of crisis and hazardous waste situations in the emergency room and private settings. Get reliable service from a team that cares by contacting The Bioclean Team today. Copyright © 2018 The Bioclean Team, All Rights Reserved.